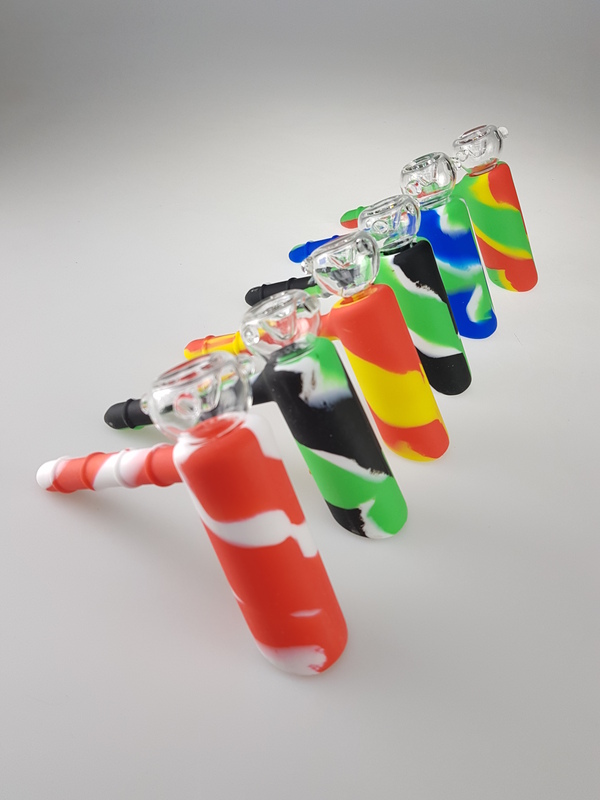 Swan - Oil Bubbler The Swan - Oil Bubbler is made of 4mm thick glass and is equipped with a 4-arm percolator, glass nail and a white-colored collar. Height about 18cm. 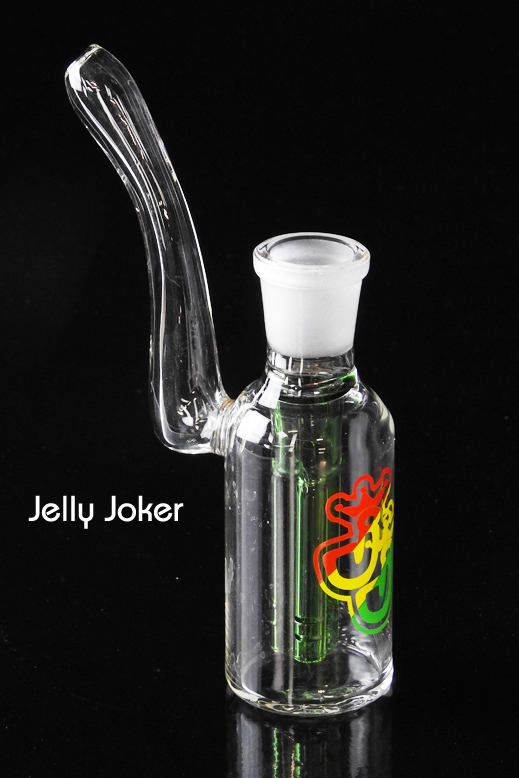 The Bubble Joe with a stem and a seven-arm percolator is a beautiful hand bubbler in complete perfection. Equipped is the bubbler with a 18.8 bowl. 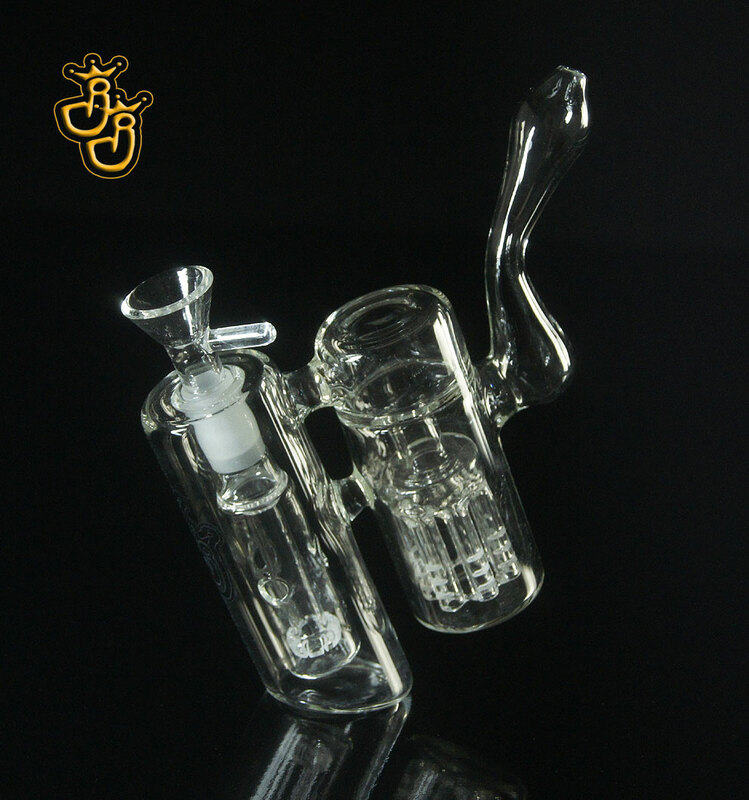 The Bubbler Prongs has two water chambers each with a slot percolator. 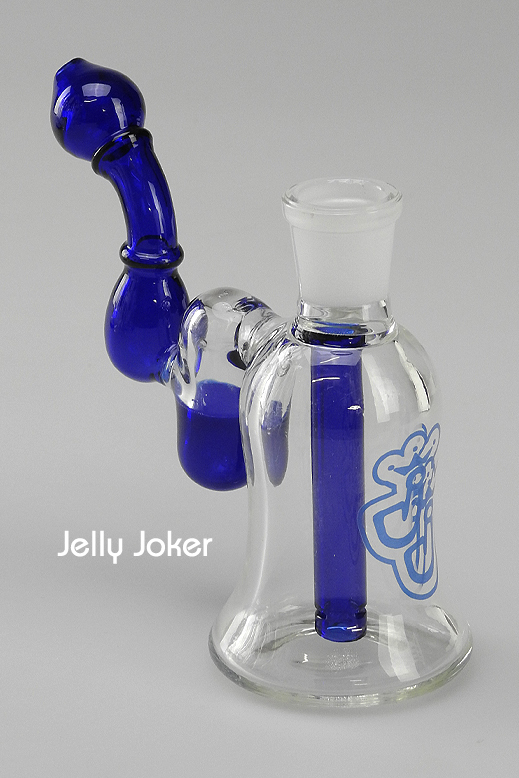 It has an 18.8mm joint, 4mm thick glass and a blue hollow bowl. 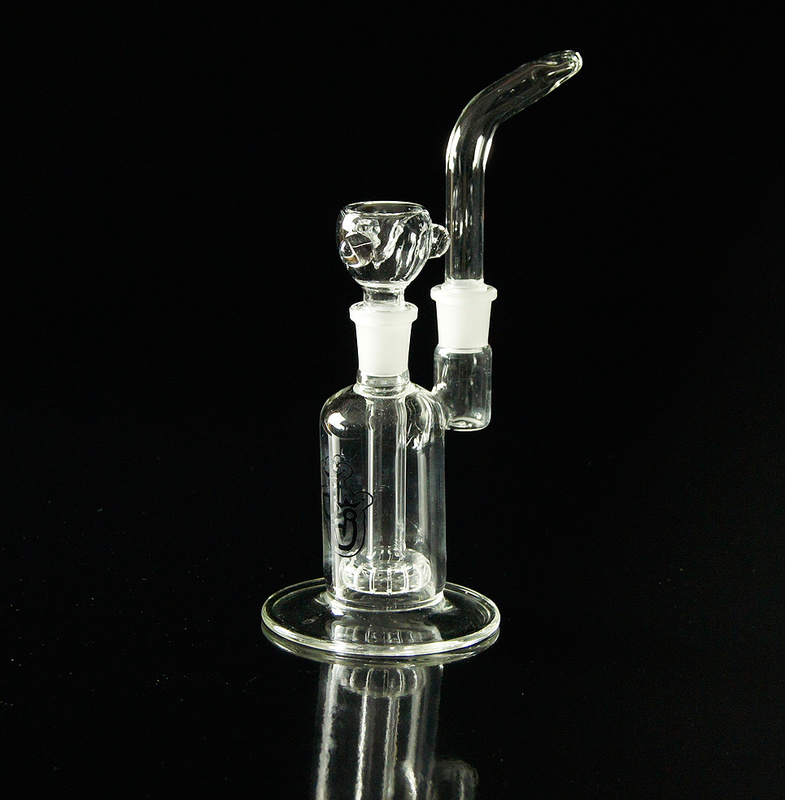 This bubbler of 4mm thick glass is about 23cm high with mouthpiece. The diameter is about 5cm. Equipped with a hollow bowl and UFO percolator. 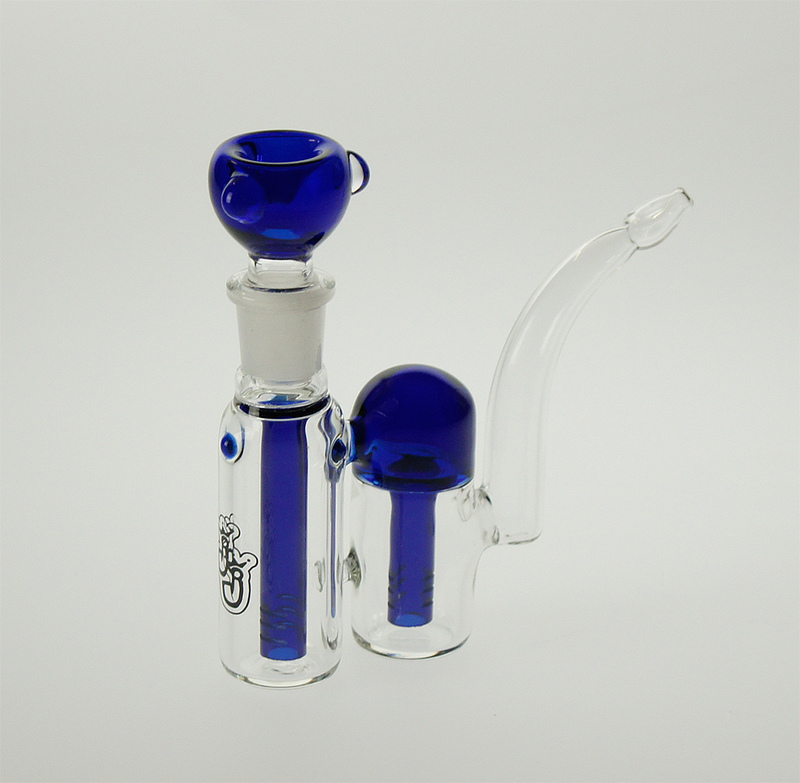 Pear hand bubbler The Pear hand bubbler is about 12.5cm high, has an 18.8mm joint and is equipped with a blue stem percolator, and blue mouthpiece. 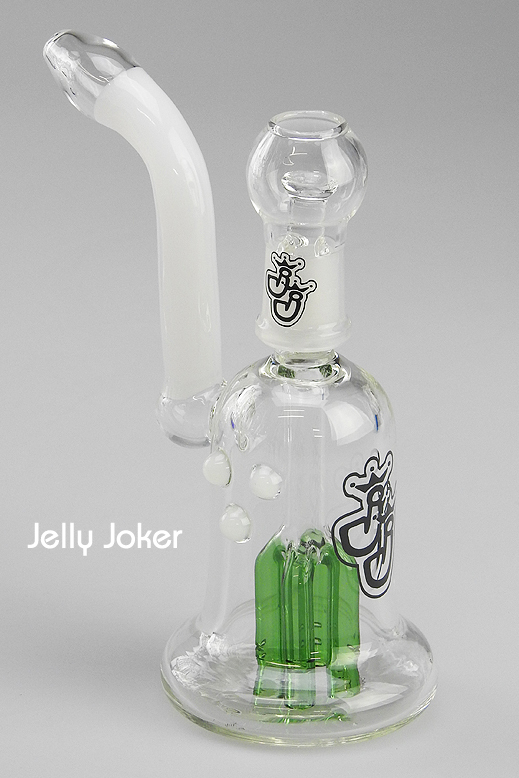 Bat Bubbler 18.8 joint This Bubbler has green three-arm percolator, is 15cm tall and has an 18.8mm joint.